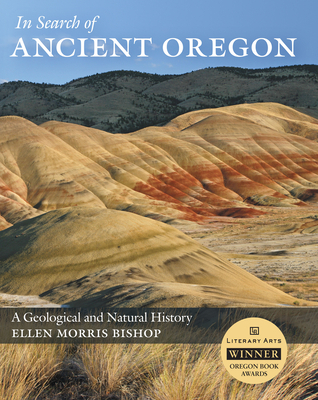 Geology is an extremely visual subject, and In Search of Ancient Oregon is a beautifully photographed, expertly written account of Oregon's fascinating geological story. Written by a passionate and professional geologist who has spent countless hours in the field exploring and photographing the state, In Search of Ancient Oregon is a book for all those interested in Oregon's landscapes and environments. It presents fine-art-quality color photographs of well-known features such as Mount Hood, Crater Lake, Smith Rock, Steens Mountain, the Columbia River Gorge, and Cannon Beach, and scenic, not so well known places such as Jordan Craters, Leslie Gulch, Abert Rim, Hells Canyon, Elkhorn Mountains, and Three Fingered Jack. Each of the more than 220 stunning photographs is accompanied by readable text, presenting the story of how Oregon's diverse landscapes evolved — and what we may expect in the future. Until now, no book has presented this dynamic story in a way that everyone interested in Oregon's natural history can easily understand. The combination of extraordinary photographs and the author's lucid explanations make this book both unique and essential for those curious about our own contemporary landscape. Ellen Morris Bishop received her PhD in geology at Oregon State University and studied photography at the San Francisco Academy of Art. Bishop has taught at Whitman College, Lewis and Clark College, and the University of Arkansas. She is the education and outreach coordinator for the Eastern Oregon Legacy Lands Environmental Center, an award-winning photographer, and the owner of Nature’s Light Photographics. Her websites are ellenmorrisbishop.com and natureslightphotographics.com.